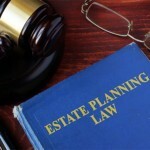 As a Probate Estate Executor (named in a will) or Administrator appointed by the court upon petition application, you have so called “Duties and Responsibilities.” The principal “fiduciary duty” is to safeguard all the estate assets, make them productive by prudent investment and/or maintenance and avoid losses. The responsibilities include gathering or marshaling the assets. If liquid, the assets should be transferred into a new “Estate of ….” bank account with a Tax ID or “Employer Identification Number (EIN)” preferably a checking’s account, so checks can be written as necessary during the probate process and at the end to close out the estate. 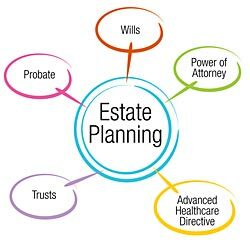 On the other hand, Estate executors/administrators may not use an estate asset for their sole benefit (if he or she is not the sole beneficiary of the estate) to the exclusion of other beneficiaries. For example, if the executor/administrator is living in a home owned by the estate (unless the will provides otherwise) he or she must pay and collect rent to be deposited into the estate account(s). If there is a Bank or other mortgage on the property, payments must be made to protect the property from Foreclosure proceedings. If mortgage payments are advanced by the Executor/Administrator (or anyone else), a “creditor’s claim” can be made and approved for reimbursement. At the end of the Estate proceeding, the estate administration must be approved, along with payment of fees and creditor’s claims etc. If anyone opposes the handling of assets and/or the court finds wrong doing, a penalty or “surcharge” can be ordered by the court; this amount must be paid back by the executor/administrator or by the bonding company (which will seek reimbursement). Accordingly, while there are duties and responsibilities, adequate fees are allowed under the probate code but there is no “free ride” to use Estate assets without payment and accounting.